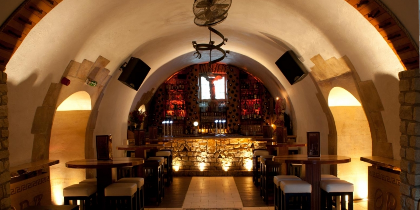 Places to Eat in Bath | Eat Unique. Celebrating independent restaurants in the Bath area! 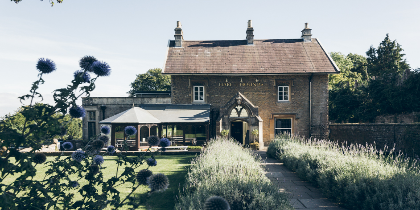 The Hare & Hounds, where you’ll find fabulous food, friendly service and unrivalled views over the Bath countryside. 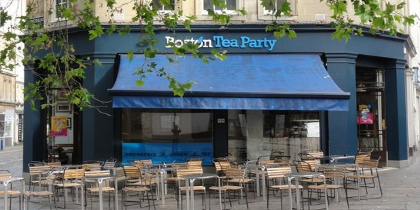 Boston Tea Party is the quintessential place to watch the world go by, perfectly perched on the edge of a busy Bath square with lots of outside seating & near all that gorgeous Georgian stuff. We have a large choice of traditional dishes but also have many specials that have been perfected over many years. .
At Brasserie Blanc we want you to feel at home. At all of our restaurants you can be assured of a warm welcome from friendly, knowledgeable staff and delicious food using the very best, freshest ingredients. 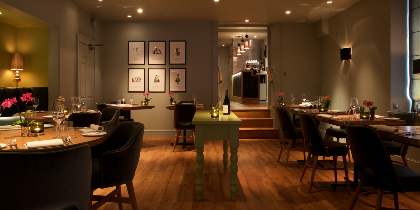 We’re all about authentic French flavours, guided by the seasons and served ‘chez nous’. 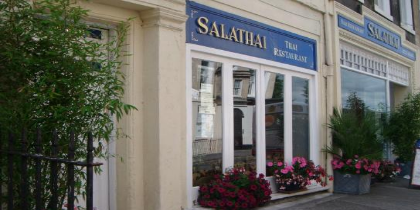 With countless awards & commendations over the years, we offer wholesome, authentic Indian cuisine, with particular care given to ingredients & bountiful flavours. 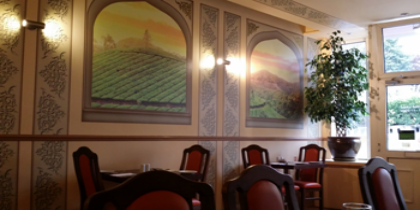 A renowned Indian restaurant with the City’s most impressive Georgian interior. Locally sourced seasonal British menu with Mediterranean influences in a small and elegant setting. 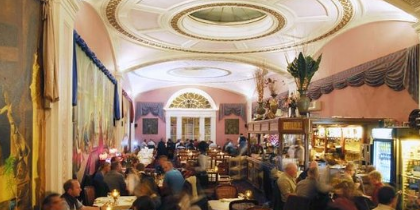 Not only is Bath steeped in history, but it also has a thriving restaurant scene with something for everyone. Whether you’re after fine dining or pub food, traditional English, Mediterranean, Chinese or Indian, you’re sure to find it in Bath. So…soak up the atmosphere, take in the sights and the heritage, and enjoy some of the best restaurants on offer. 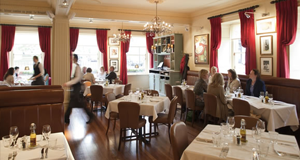 Eat Unique is pleased to promote a number of restaurants in Bath that are independently owned and independently run.